Motorola Droid Razr Philippines Price, Specs, Release Date, Thinnest Android Phone Currently! I've seen the TVC on ETC, have you? The fact that Motorola's running television commercials again in the Philippines can only mean one thing: Moto's back! And it's back with a vengeance! "Hello (again) Moto!" 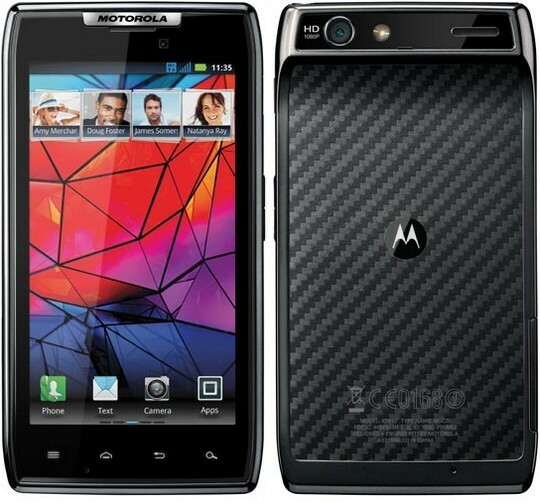 : Motorola Droid Razr proves that when it comes to slim phones, Moto is still king. Remember your old Motorola Razr clamshell?! Well, this phone takes inspiration from that best-seller. With depth of only 7.1 mm, Motorola Droid Razr has clearly superseded the 8.5mm-thick Samsung Galaxy S2 as the thinnest Android smartphone in the world today. But just because it's thin doesn't mean it's any less powerful. In fact, Moto Droid Razr's physical depth is a complete anti-thesis to the depth of features that come with it. Running the latest version of Android Gingerbread OS with its 1.2 GHz dual core processor, "splash-resistant" Motorola Droid Razr flaunts a massive 4.3-inch Super AMOLED display with scratch-resistant Gorilla glass touchscreen, an 8 MegaPixel camera with autofocus and LED flash at the back, a 2 MegaPixel shooter in front, Full HD 1080p video recorder, and even an HDMI port. As for connectivity, the handset supports Wifi, Bluetooth, 3G and LTE. Following Google's recent acquisition of Motorola, it seems the phone company is now all the more serious about being the best Android phone manufacturer in the world (, which should be the case anyway). Now, if the design and technical specifications of Motorola Droid Razr were indicative of where the company is headed, it should be all good. 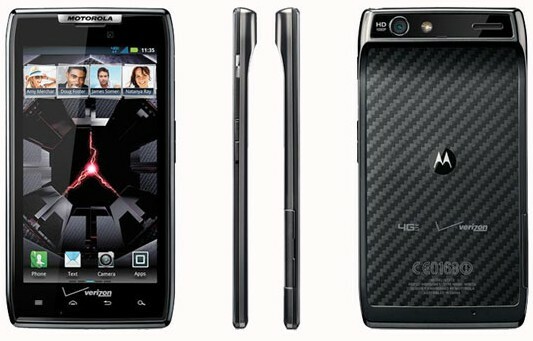 So when will Motorola Droid Razr arrive in the Philippines and how much will it cost? Actually, I'm already seeing a few online stores sell this phone for around Php 33,500 -- which is fair enough, I think. However, MemoXpress - the official distributor of Motorola phones in the Philippines - has yet to make a formal announcement on the availability of the handset.